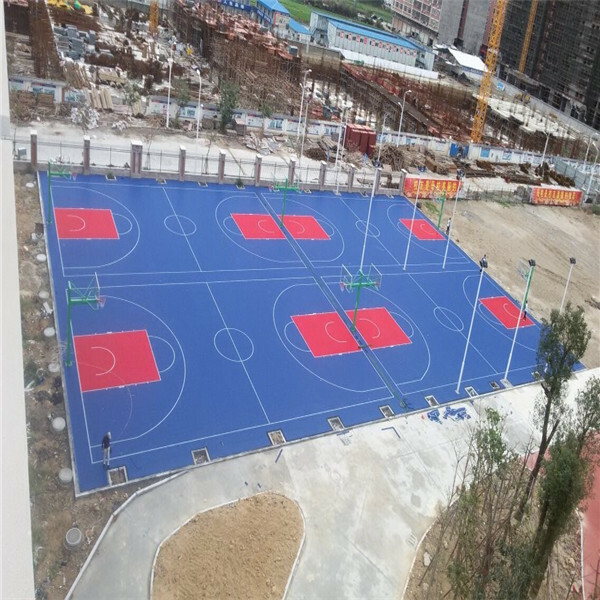 PP interlocing Sport Flooring, outdoor sports flooring . Main Material: Environmentally friendly virgin polypropylene;Can be 100% recyclable, do not have any smell, do not contain any heavy metal; WaterproorfAnti-ultraviolet. Performance: Reducing shock,delivers excellent traction and ball response. Foundation: It can be installed directly over the cement, asphalt or any other hard flat surface. Maintenance: Virtually do not need any maitenance, just need to clear the dust. 1. 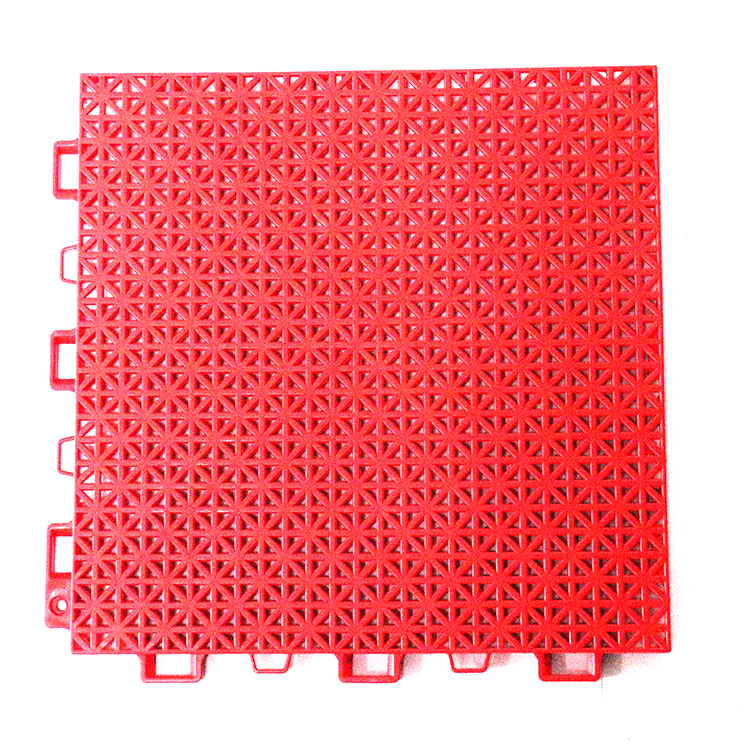 On the surface there are holes, in fact ,we can say it is combination of water drain system and heat radiation system. 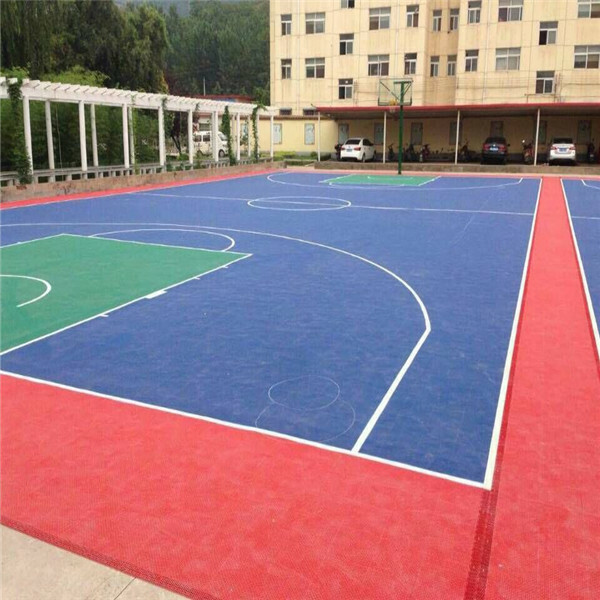 For Outdoor court use, we need to concern about sunshine, rain,cold and hote weather. 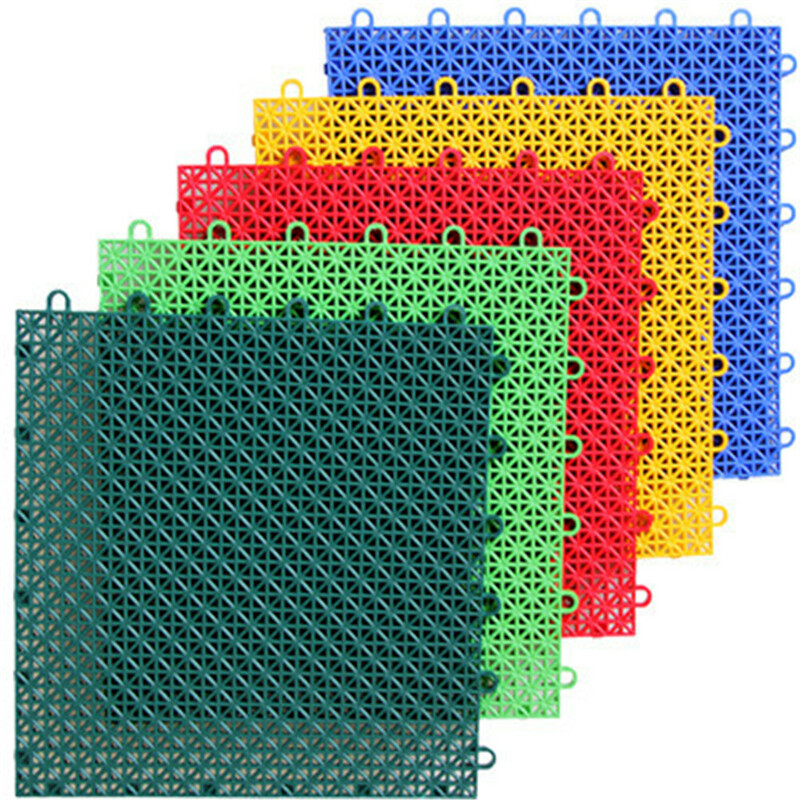 When it rains, holes are to help water drain, When it is very hot, holes are to help heat radiation. 2. There are pillars on the bottom side to support the surface . Modular your stadium and recreation spaces surface. Quick and easy assemble and dismantle. 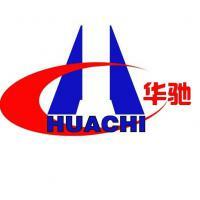 Environmentally Friendly Material, anti-bacteria, anti-corrosion, long using life. Meanwhile, we also add anti-sunshine, anti-cold and hot weather techonology. Supply the excellent buffering power, reduce the injure. 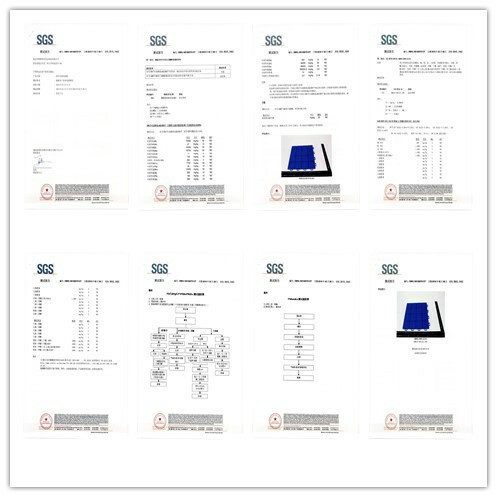 Looking for ideal Interlocking PP Floor Manufacturer & supplier ? We have a wide selection at great prices to help you get creative. 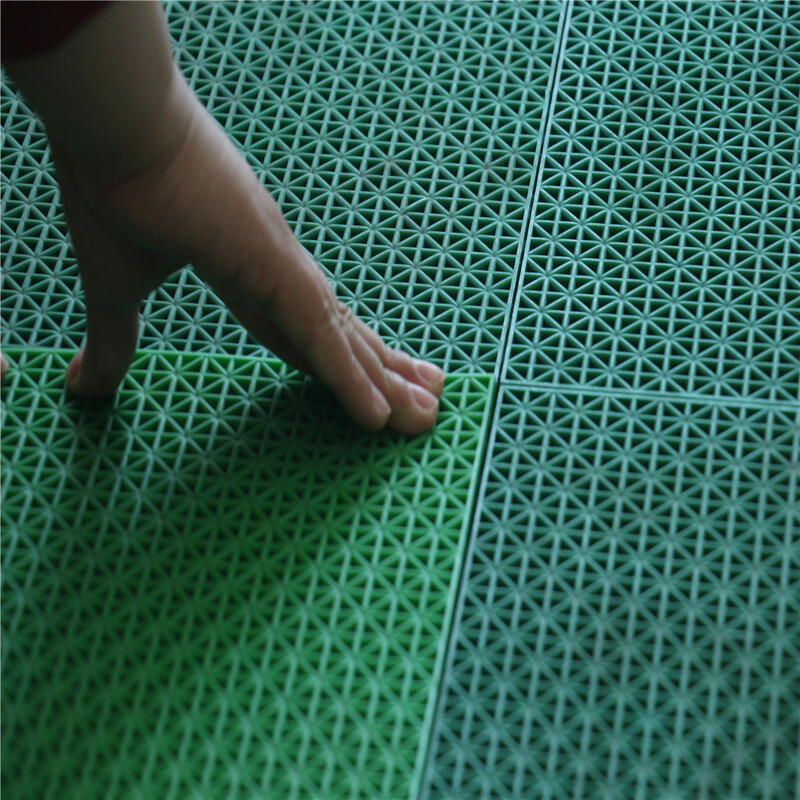 All the Outdoor Sports Floor Tiles are quality guaranteed. 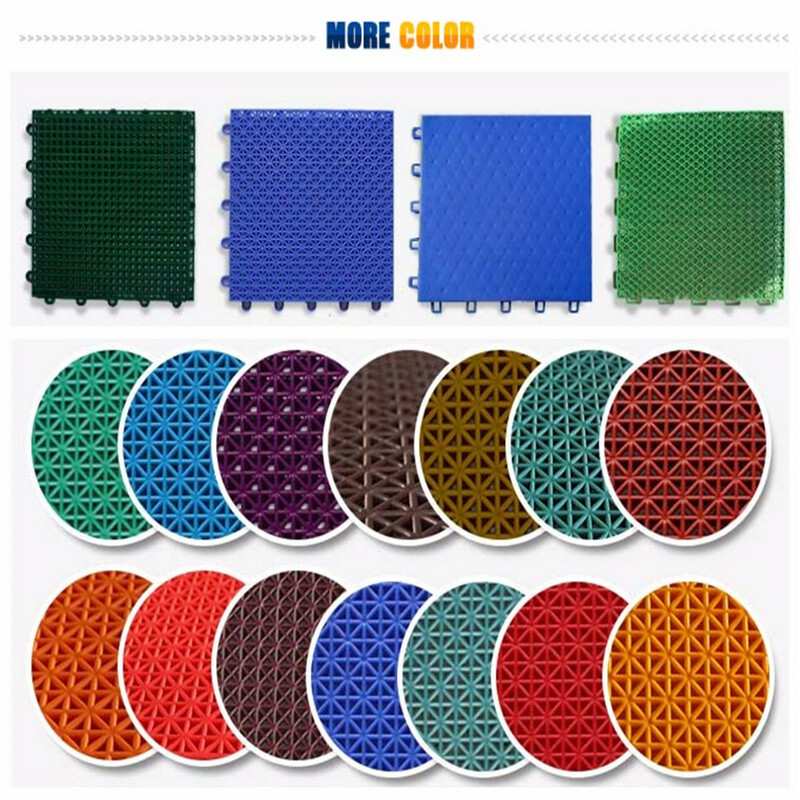 We are China Origin Factory of PP Outdoor Sports Floor Tiles. If you have any question, please feel free to contact us.